Serving Pharmacy with Integrity and Value. KeySource has been supplying the generic pharmaceutical needs of end-user pharmacies across the United States since 1996. Our sales force is focused on serving the interests of our customers, emphasizing the highest level of service, integrity and value. Sales representatives are professionally trained and contact customers within their territories on a regular basis to accept orders and deliver information on our product line and ongoing developments within the industry. In 2016, KeySource grew exponentially by welcoming new senior leadership and an infusion of investment capital. This newly expanded team has been systematically and strategically tackling day-to-day operation challenges and long-term planning for the growing business. In 2017, Keysource continued its rapid growth by increasing our footprint and adding a secondary location in Niagara Falls, New York. As we look to the future, we remain dedicated to providing service to our customers that is unmatched. As a trusted distributor, we take our responsibility to safeguard the integrity of the pharmaceutical supply chain seriously, securing it against counterfeit or adulterated products. Our principle goal of providing service with integrity and value is the driving force for each and every employee at KeySource. Having this shared value, our team remains dedicated to the tenacity and attention required to maintain these safeguards. KeySource only purchases products directly from FDA approved manufactures. 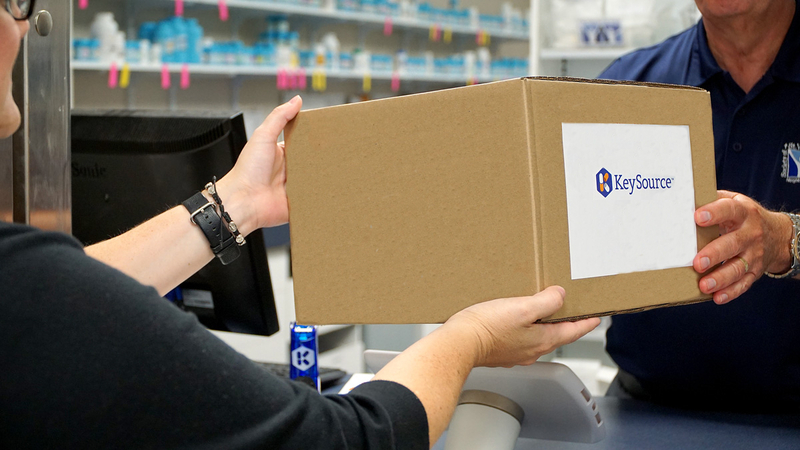 KeySource is an active member of HDA (Healthcare Distribution Alliance), a national association comprised of America’s largest pharmaceutical distributors. KeySource is also an active Corporate Member of NASP (National Association of Specialty Pharmacy), the only national association representing all stakeholders in the specialty pharmacy industry.